As an important manufacturer & supplier of Lounge Chairs, we offer a perfect seating solution to performing arts places and educational environments. This solution meets all the leading standards, tight budgets and space requirements of customers. Portable, durable and highly comfortable, our Auditorium Chairs give optimum space, ease and flexibility to people / crowd and help them to enjoy the time. Also, our array of Auditorium Furniture shows some core concepts such as precision, elegance and cost-effectiveness. It is available in a wide range of features and finishes for total satisfaction of our clients. 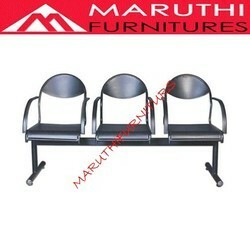 We are the Star supplier of Waiting Area Sitting Chair. Offered visitor sofa is creatively designed and manufactured under the stern supervision of our deft professionals using excellent grade raw materials in sync with the set market parameters. It is mainly demanded at the reception area of offices, hotels and various other places. 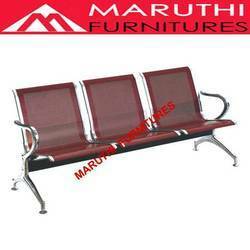 We are offering a wide range of Waiting Hall Chair. 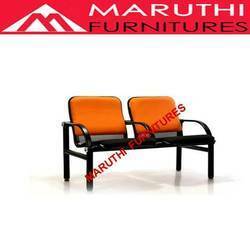 These chairs are strong and sturdy in nature and ensure long lasting service life. 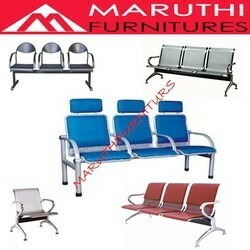 All these chairs are finely designed and are offered in different sizes and dimensions. Furthermore, our entire chair range is vastly used in hospitals to provide a perfect level of comfort. As an important preparer & of Lounge Chairs, we offer a perfect seating solution to performing arts places and educational environments. This solution meets all the leading standards, tight budgets and space requirements of customers. Portable, durable and highly comfortable, our Lounge Chairs give optimum space, ease and flexibility to people / crowd and help them to enjoy the time. Also, our array of Lounge Furniture shows some core concepts such as precision, elegance and cost-effectiveness. It is available in a wide range of features and finishes for total satisfaction of our clients.